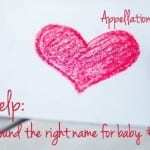 This name is so rare it barely qualifies as one – and yet, I couldn’t stop thinking about it after Juniper wrote in for name help last month! Our Baby Name of the Day is the intriguing Elska. When I first saw Elska, I thought it must be a diminutive from Elisabeth. 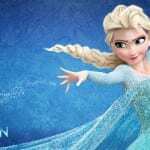 After all, Elsa is familiar – powerfully familiar, thanks to Frozen. And there’s Elise and Eliza and so on. Elisabeth with an ‘s’ is more common in French, German, and plenty of other languages. And the -ka ending is heard in Slavic languages. Shorten Elisabeth to Elsa, add a -ka, and you’ll arrive at Elska. Sara from the Dictionary of Medieval Names from European Sources notes that Elzka and Elzca were heard in the Czech Republic as a form of Elizabeth in the fourteenth century. So at least sometimes, Elska comes from Elizabeth. Elska: Or a Cousin to Adelaide? Adelaide has a history to rival the evergreen Elizabeth, and the name has a long and varied history of use. Dozens of names are derived from noble, saintly, Germanic Adalheidis. One of those forms is Elke, a Dutch nickname for Adelaide. Elska is close, and so I wonder if Elska could be yet another possibility related to this traditional name. Elska: It’s Norse, Of Course! In Old Norse, elska meant love, and the word remains in use in Icelandic and other languages derived from Old Norse. We think of Norwegian as one language, but there are actually some differences. (Thanks to Ingrid’s comment for helping me unravel this.) Bokmål is far more common, but Nynorsk is also in use, preferred by about 10% of the population. Elska means love in Nynorsk. Nordic Names doesn’t list it as a given name. But then, Love isn’t a super-common given name in English, either. If it is used in Scandinavia as a given name today, it’s quite rare. Elska has never been given to five children born in the US in any single year. There have been a handful of women by the name in the 1940 and 1920 US Census records. This makes me suspect that, at least sometimes, Elska was derived from another name. 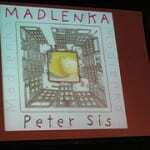 Neither are anywhere near well-known enough to boost Elska. Other uses include a fictional horse in the children’s book series “The Horse Diaries” and a bed-and-breakfast in Tenerife. None of that makes it a plausible name for a child. And yet, it’s a meaning that appeals to parents. 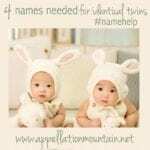 Names from former Top Ten favorites Amy and Amanda, to up-and-comers like Esme and Carys share the meaning, as do rarer possibilities like Amoret. Plus, the sound of Elska is undeniably cool. It feels as Scandinavian as Astrid or Ingrid, but with a fresh, brisk, modern appeal. If you’re after something rare and meaningful, Elska could be the name for you. What do you think of Elska? Is it better as a short form of Elizabeth/Adelaide, or as a stand-alone name? Name Help: Is Elska the Name for Baby Number 6? I met a woman today who had a horse named Elska. The horse was an Icelandic horse and she said that Elska is a very common name for Icelandic horses (apparently in Iceland they have the same horses because there are few who can survive on the sparce vegetation and cold temperatures so the lady told me). She said the horses are named Elska because it does mean “love” and is used in an endearing way like “sweetie”. That’s so cool – thanks, Em! Our daughter is Elska chosen as coming from the Norwegian for “love” and I had never heard of it from any of those other sources. Not that it’s definitive or anything, but it’s how these parents picked it. 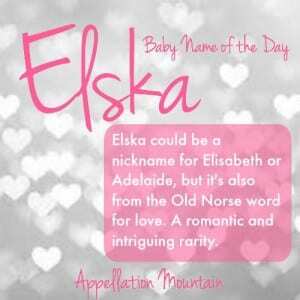 I also chose Elska for my daughter (who is now 3 years old) it’s the Icelandic spelling of the Norwegian word for love. It’s funny that this name is so rare, it’s been in my personal top three for years! I remember reading Cynthia Voigt’s chilling, pseudo-medieval YA novel “Elske” as a teenager and being blown away by the character and her name. I’m not sure if I would use the e or a spelling, but I think it’s safe to say we’ll be using Elska in some form if we have girls 🙂 I think it’s beautiful and it will assuage my husband’s disappointment in losing family name Elsa to Frozen! A word of warning though to anyone considering getting creative with the spelling: similar sounding “Ilska” means anger! I really like it! I have a daughter Astrid so I like the Scandinavian names. Sadly, it would sound terrible with our last name so no Elskas in my future (not that there would be anyway! ), but it would be super to meet one.